Set in Appalachian Ohio amid an epidemic of prescription opiate abuse, Michael Henson’s stunning collection of linked stories tells of a woman’s search for her own peculiar kind of redemption. Addict, thief, liar, lover, loser, hustler, Maggie Boylan is queen of invective and sultana of insult. But she is also a woman of deep compassion and resilience. Her journey is by turns frightening, funny, and deeply moving. 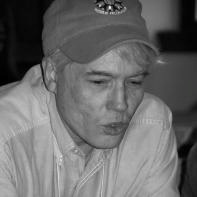 Michael Henson is the author of Ransack (West End Press, 1980), A Small Room With Trouble on My Mind (West End Press, 1983), Tommy Perdue (MotesBooks, 2012), and several books of poetry. 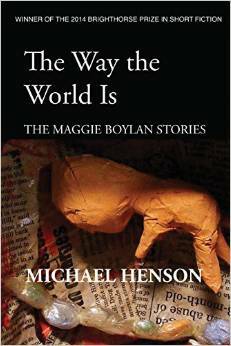 The Way the World Is: the Maggie Boylan Stories is the 2014 winner of the Brighthorse Prize for Short Fiction. He has worked as a teacher, a factory hand, a community organizer, and a substance abuse counselor and is a member of the Southern Appalachian Writers Cooperative. He lives in Cincinnati. Each Tuesday we feature audio or video of an SR Contributor reading their work. Today we’re proud to feature a podcast by Michael Henson. You can read along with Michael’s work in Issue 10 of Superstition Review.